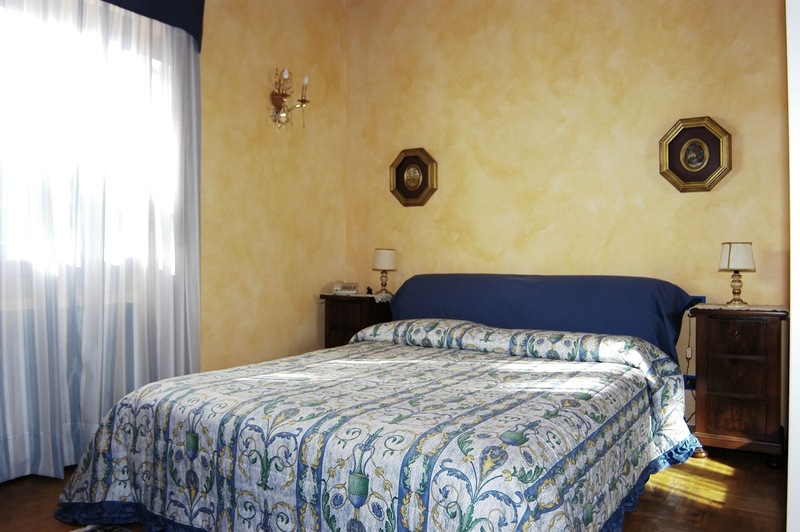 19th-century villa that has been completely renovated, located in the hills just west of the city of Florence. All around there are cultivated fields, vineyards and olive-tree groves. 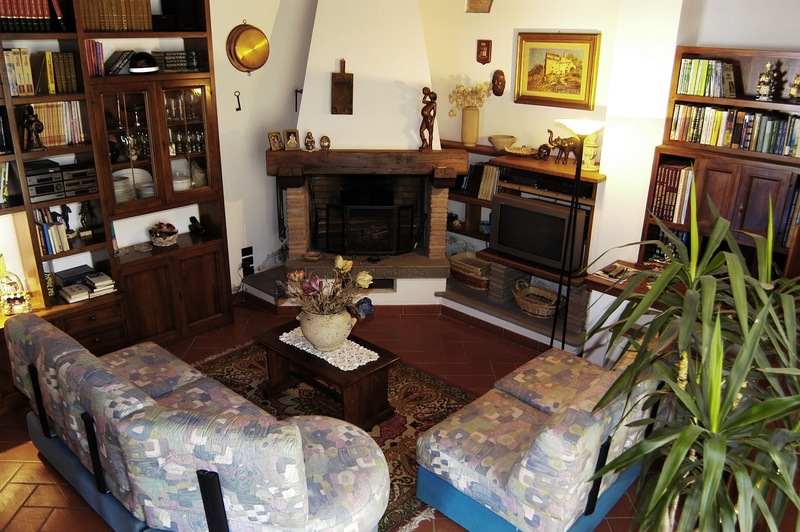 The villa is ideal for a group of friends or a large family who want to visit Florence in the morning, but in the afternoon and evening prefer the cool fresh air in the garden and near the swimming pool. For horse lovers there is an equestrian center nearby that organizes excursions in the surrounding hills. Available to the guests is a fenced-in garden with swimming pool (5x10, 1.2-2.1 m deep) (01/06-30/09 open from 07.30 am to 9.30 pm) and a beautiful gazebo for outdoor dining with barbecue and sun umbrella. 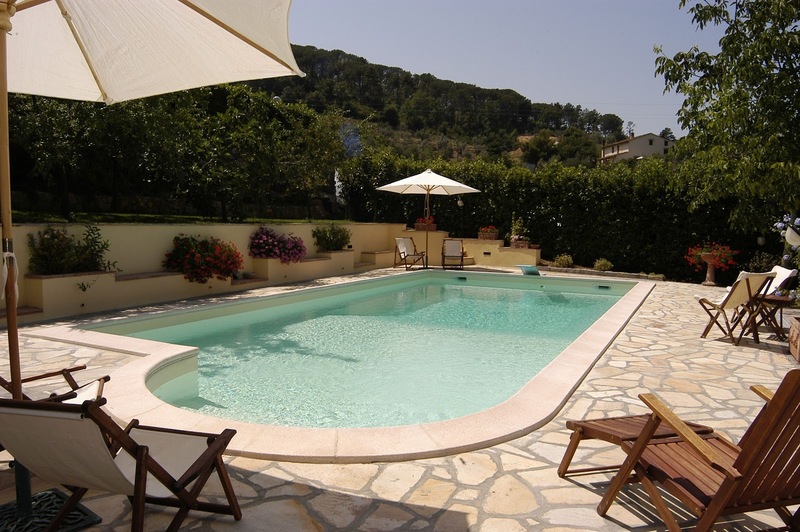 The villa also has an area for dogs that is shaded by the olive trees and borders the pool area. 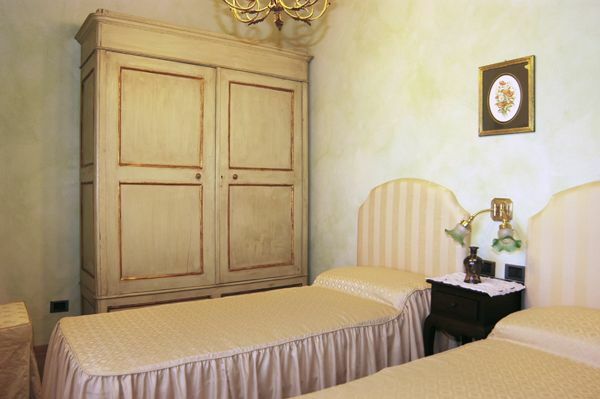 The interiors are furnished with comfortable furniture from the late 1800s and the walls are painted in warm pastel colors. 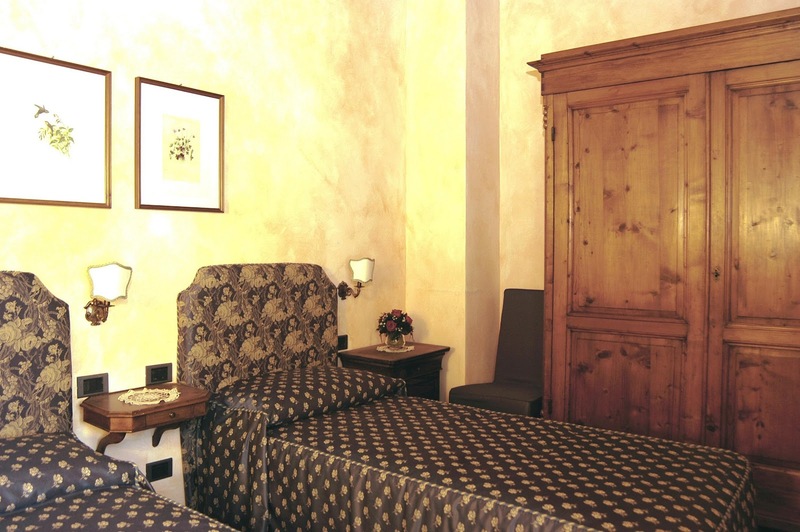 For the safety of guests the accommodation has a safe and an alarm system. Available on request: extra linen change, maid service, guided tours of the wine cellars, minivan rental with driver, a cook. The villa has central heating, Wi-Fi internet connection and air conditioning. Large covered parking for two cars. PLEASE NOTE: only small pets are allowed. 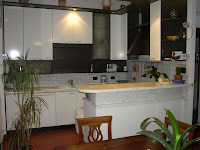 ACCOMMODATION: (180 m2) Gr. fl. : entrance, living/dining room with fireplace, large equipped kitchen, laundry room, WC. 1st fl. 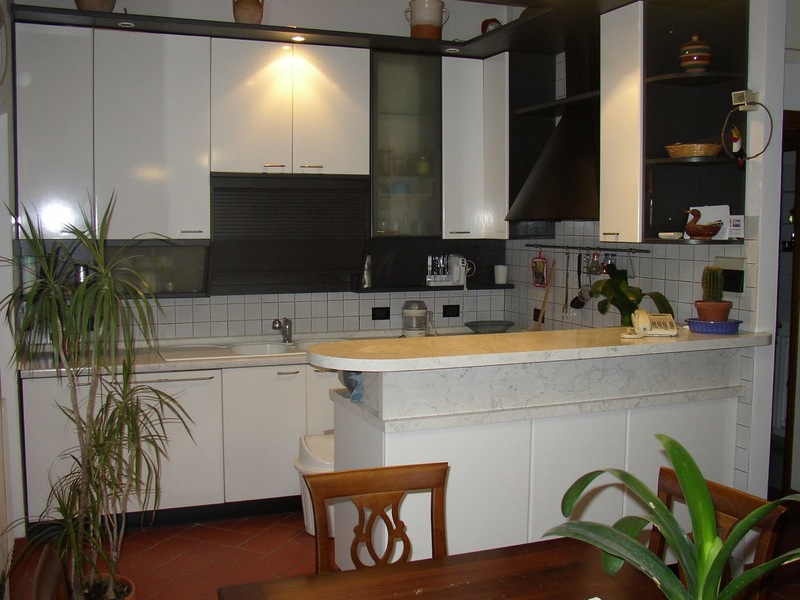 : 1 double bedroom, 2 twin bedrooms, 1 bath with shower with water jets, 1 bathroom with shower. 2nd fl. 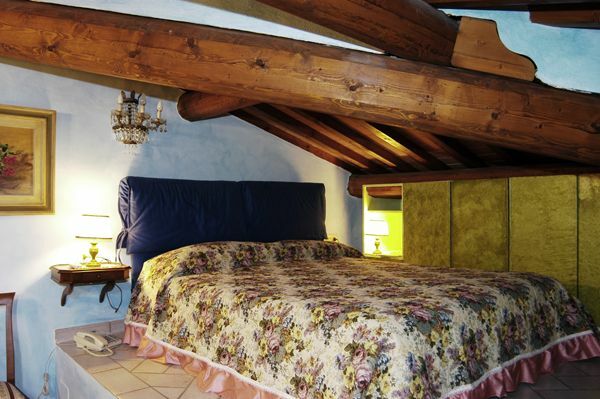 : (attic): 1 double room with bathroom with shower. LOCATION: 5 km Scandicci, 12 km Florence, 78 km Siena, 80 km Lucca and Pisa.